NEW YORK (Bloomberg) -- The creditors' committee for old General Motors Corp. will face off in bankruptcy court on Oct. 21 against the U.S. Treasury Department over the question of who is entitled to the fruits of $1.5 billion in lawsuits that the committee intends to bring. Treasury doesn't understand how there is any issue because, in its view, the government is entitled to take everything in the estate aside from stock in new GM in repayment of the loan financing the Chapter 11 case. The bankruptcy judge at the Oct. 21 hearing will also be asked to approve the disclosure statement explaining old GM's Chapter 11 plan. Approval of the disclosure statement would enable creditors to vote. The government admits that lawsuit proceeds aren't part of its collateral. Treasury also admits that the loan was a so-called non-recourse obligation where the government could only have the loan repaid from collateral. Still, the government argues that it retained a so-called super-priority administrative claim that must be paid in full before the Chapter 11 plan can be confirmed. Resolution of the dispute may turn on whether the government's super-priority claim can be recovered from anything other than the collateral. When the judge comes to consider approval of the disclosure statement, the official committee representing asbestos claimants argues that documents creating the asbestos trust must be created before claimants vote. The asbestos committee also says the disclosure statement doesn't give enough information allowing claimants to know how much they might eventually receive. Creditors of an old GM subsidiary named General Motors Nova Scotia Finance Co. also find the disclosure statement inadequate in describing how much they're likely to recover and how. Old GM guaranteed Nova Scotia's notes. The objecting creditors include Aurelius Capital Partners LP and Appaloosa Management LP. The loan from the government stood at $1.2 billion at the end of August. To repay the loan and fund the remainder of the liquidation, old GM at the time had $964 million cash. Old GM, now formally named Motors Liquidation Co., has been saying that creditors will receive stock and warrants received when the core business was sold to new GM. Old GM's operating reports have said that unsecured creditors won't receive any of the cash on hand. Old GM's liquidating Chapter 11 plan was filed in August. A trust for unsecured creditors would distribute the stock and warrants in new GM. The sale of the core business generated 10 percent of the stock of the new GM plus warrants for 15 percent. The warrants will have value if the new company is profitable enough to raise the company's value to specified levels. New GM, formally named General Motors Co., is 60.8 percent owned by the U.S. government. 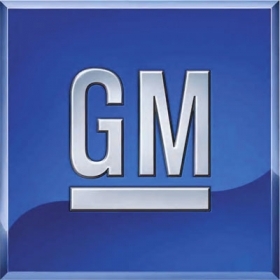 Old GM began the largest manufacturing reorganization in history by filing under Chapter 11 on June 1, 2009. The sale was completed on July 10, 2009. GM listed assets of $82.3 billion against debt totaling $172.8 billion.